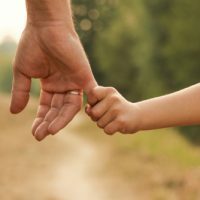 Nevada custody and child support laws are founded upon the principle that the parent or the court must always act in the best interests of the child or children involved. Sometimes, this can mean that the court must make the determination that one or both parents are unfit to exercise custody or visitation rights. Although this is not the state’s preferred choice – generally, public policy is to try and keep families together – it will be done if it is found to be necessary for the best interests of the child to do so. It is imperative that you and your ex-spouse understand what leads up to a finding of unfitness, as if parental rights are taken away, they will not be reinstated. The most important thing to understand about a finding that a parent is “unfit,” is that the court must make that determination; neither parent may unilaterally declare the other unfit, nor may either parent decide that time with the other parent is not in the child’s best interests. That said, if a parent has no interest in being part of that child’s life, they may voluntarily relinquish their parental rights, but the decision to do so must be their own decision; it cannot be demanded or ordered by the other parent. Otherwise the court must make a finding of parental unfitness in order to terminate a parent’s rights. If a court orders termination, the court must document not only that the termination is in the best interests of the child, but the court must also make specific findings as to evidence of previous acts that show unfitness. As an example, one parent may be very upset and believe that it is not in the best interests of a child if the other parent leaves the child alone while going out at night. As a result, the first parent may believe the other parent is “unfit.” However, that determination is not up to the upset parent and they cannot unilaterally effect an “equitable termination,” by cutting off time and contact. A petition must be filed with the court. If the court finds, that the allegations do not rise to the level necessary for termination, no termination will occur. If the court does decide that termination of a parent’s rights is in a child’s best interest, the court must be able to point to specific evidence of conduct that shows that child’s overall well-being would not be safeguarded in the custody of that parent. In other words, the finding of unfitness cannot be speculative. To terminate the rights of a parent based on mere conjecture would be manifestly unjust. It is also important to note that the proceeding goes forward in front of different judges and with a different procedure when a parent initiates a termination proceeding rather than when the Department of Family Services initiates proceedings. In all such cases it is recommended that both parents have their own attorneys to help them navigate issues which arise. While terminating parental rights is considered a radical step under Nevada law, it may be a necessary one in some instances, particularly to preserve the physical and mental health of your child or children. If you find yourself in this position, the Kainen Law Group may be able to be of assistance. Call our lawyers today at 702-823-4900 to set up an appointment.